Kalpana Jain is a senior journalist and currently senior ethics and religion editor at The Conversation US, a global news and commentary-based website. She has covered a wide range of issues both in the U.S. and internationally. She was senior education editor at The Conversation US, before moving into her current role. She worked as a writer and researcher at Harvard Kennedy School and Harvard Business School She was part of a small, select team for a flagship program of Harvard Business School researching 50 years of women at HBS. She worked for many years as a reporter and editor at India’s leading national daily, The Times of India. Her reporting played a significant role in elevating public health as an important topic of news coverage. 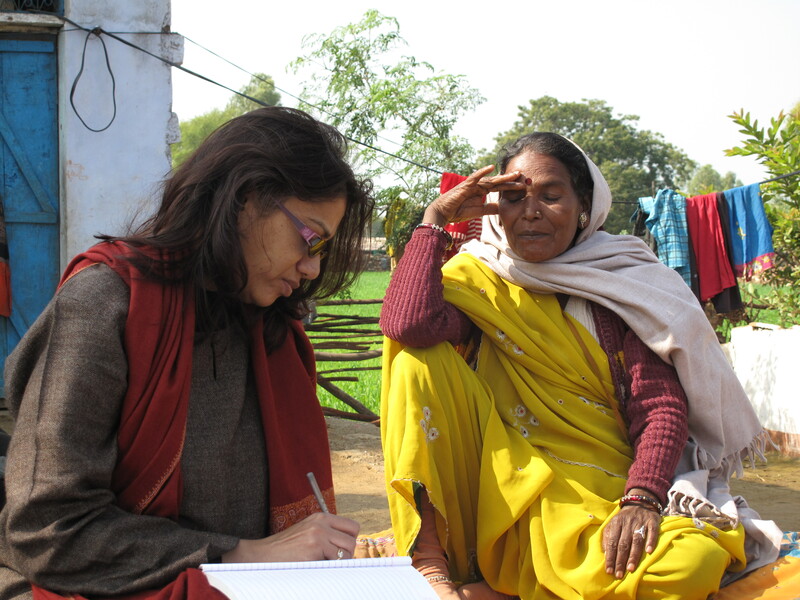 Based on her reporting, she was selected a Nieman Fellow in Global Health Reporting in 2009. She has taught case-writing at Harvard. She has conducted workshops teaching scholars at Harvard Divinity School, Stanford University, on how to write for the general public. She has also conducted such a workshop for religion scholars at the annual conference of American Academy of Religion. She is an alumna of Harvard Divinity School and Harvard Kennedy School. She holds a Master’s in Theological Studies and a Master’s in Public Administration. In 2010, she was awarded William A. Starr fellowship for innovative thinking in journalism and John Kenneth Galbraith Fellowship for outstanding academic and professional achievements at Harvard. Jain’s stories in The Times of India led to several policy changes in public health and to the resignation of the minister for health. She was the first journalist in India to give a face to the epidemic of HIV/AIDS in her book “Positive Lives,” published by Penguin in 2002; chapters from her book are now included in course work at an Indian university.